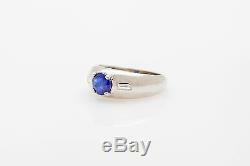 Item Description: Antique 1940s Mens ring with a 1.50ct Natural Blue Sapphire and. 30ctin VS G Diamonds on the sides. Cool piece and so nice. 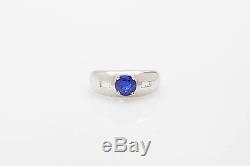 The item "Vintage 1950s $5000 1.80ct Natural Blue Sapphire Diamond 18k Gold Mens Ring" is in sale since Thursday, May 18, 2017. This item is in the category "Jewelry & Watches\Men's Jewelry\Rings".